Like 3 million of his peers, my son will graduate college this spring. In the technology space many of the innovative companies seem to care less about which elite institution is named on his piece of sheepskin and more about the skillset he brings to the role. Asset management companies and investors entrusting their money to fund managers might wonder if the guys with fancy degrees actually do better than the rest of the pack. Thanks to the Trapezoid database, we were able to compile information to see if the Ivy Leaguers (like my son) actually perform. 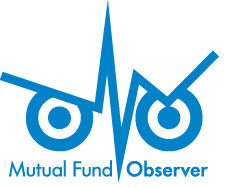 Our laboratory is the mutual fund universe. We looked at 4000 funds managed by graduates of 400 universities around the world. We focused for this study on results for the three years ending April 30, 2016. We concede to purists and academics that our study lacks rigor. The mutual fund database does not capture separate accounts, hedge funds, etc. We excluded many funds (comprising 25% of the AUM in our universe) where we lacked biographical data on the manager. Successful active funds rely on a team so it may be unfair to ascribe success to a single individual; in some cases we arbitrarily chose the first named manager. We used the institution associated with the manager’s MBA or highest degree. Some schools are represented by just 1 or 2 graduates. We combined funds from disparate sectors. Active and rules-based funds are sometimes strewn together. And we draw comparisons without testing for statistical validity. 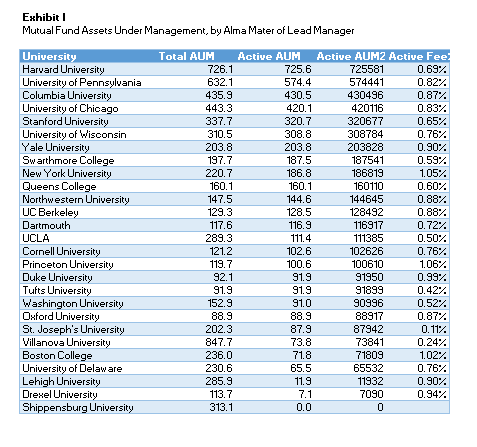 I was a little surprised at the mix of colleges managing the nation’s mutual funds. Villanova has an excellent basketball program. But I didn’t expect it to lead the money manager tables. However, nearly all the funds managed by Villanova were Vanguard index funds. The same is true for Shippensburg, St. Joseph’s, Lehigh, and Drexel. When we concentrated on active funds, the leading schools were Harvard, Wharton, Columbia University, University of Chicago, and Stanford. Note that Queens College cracks the top 10 – this is attributable almost entirely to one illustrious grad: Dina Perry, a money manager at Capital Re. Who performed the best over the last 3 years? By one measure, Stanford graduates did the best followed by Harvard, Queens College, Dartmouth, and University of Wisconsin. Trapezoid looks mainly at each manager’s skill form security selection. Institutions managing fewer assets have a higher bar to clear to make the list. Managers from these top five schools ranked, on average, in the 77th percentile (100 being best) in their respective categories in skill as measured by Trapezoid. If size and sample size were disregarded, some other colleges would score well. Notably, Hillsdale College benefitted from very strong performance by David Giroux, manager of the T Rowe Price Capital Appreciation Fund (TRAIX – closed to new investors). Wellington’s Jean Hynes lifted Wellesley College to the top echelon. Strong international programs include University of Queensland and CUNEF. By and large it doesn’t cost investors more to “hire” graduates of the leading schools. The average fee for active managers at these five schools is 69 bps compared with 87 bps for the overall universe. It seems remarkable that graduates of Stanford and Harvard outperformed their peers by 1% per year for the past three years. If we add Chicago and Wharton (the next two highest ranked MBA institutions), the advantage for the elite graduates falls to 0.47%. If we expand it to include the 10 universities (as ranked by US News & World Report) the advantage falls to 30bps. Does it mean that investors should select managers on the basis of academic credentials? If the choice were between two active funds, the answer is yes. If the choice is between a fund managed actively managed by a Stanford MBA and a passive fund, the answer is less clear. We know for the past 3 years the return produced by a typical Stanford MBA adjusted for the portfolio’s characteristics exceeds expense. But we would need to be fairly confident our stable of well-educated managers would repeat their success over the long haul by a sufficient margin. Trapezoid’s fundattribution.com website allows registered users to review funds to see whether skill is likely to justify expense for a given fund class. We do this based on a probabilistic analysis which looks at the manager’s entire track record, not just the three-year skill rating. 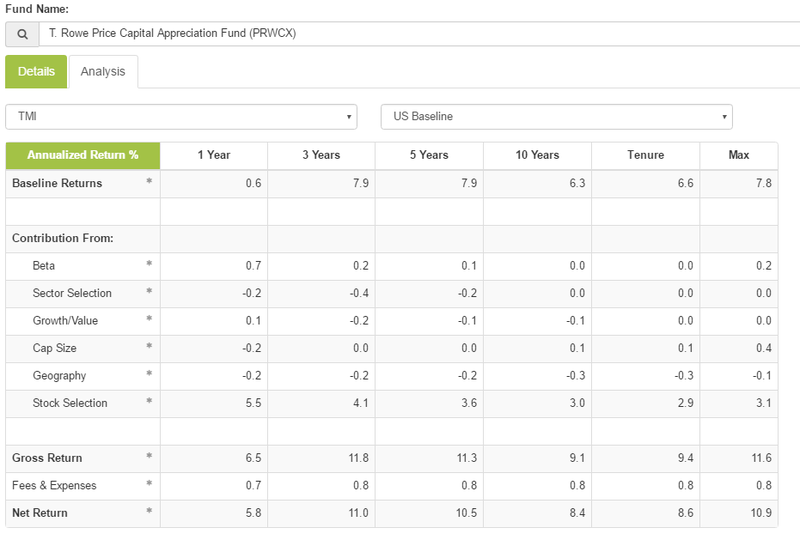 MFO readers may register at www.fundattribution.com for a demo and see the probability for funds in certain investment categories. Interestingly the school whose fund managers gave us the highest confidence is Dartmouth. But we wouldn’t draw too strong conclusion unless Dartmouth has figured out how to clone their star, Jeff Gundlach of DoubleLine. Graduates of top schools seem to invest better than their peers. Our finding may not be surprising, but it contradicts the precept of efficient market theorists. Knowing the fund manager graduated a top school or MBA program is helpful at the margin but probably not sufficient to choose the fund over a low-cost passive alternative. This entry was posted in Leigh on June 1, 2016 by Leigh Walzer.